Platelet-rich plasma, or PRP, is currently being utilized in multiple therapies for its ability to internally heal the skin using the body’s own resources. 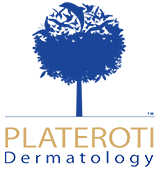 At Plateroti Dermatology, we utilize this cutting-edge therapy along with our clinically-proven micro-needling treatments for optimal results that are both immediate and long-lasting. Serving Templeton and surrounding areas in California, Plateroti Dermatology is led by board-certified dermatologist Dr. Carmelo Plateroti. Contact us today to schedule a consultation and find out how PRP treatments can benefit your skin. This process separates the blood into separate components – red blood cells, white blood cells, platelets, and plasma. The plasma, which is the liquid portion of the blood, is enriched with more platelets than normal. These platelets contain beneficial growth factors that can facilitate the regeneration of new tissues. This is PRP. The PRP is extracted from the sample and is either injected or applied topically for integration into the skin. help improve circulation in the skin, restoring a youthful glow. When paired with micro-needling, PRP can also speed up the skin’s natural healing process for faster, more dynamic results. We also offer PRP for non-surgical hair restoration! PRP can help stimulate natural, healthy hair growth when administered into the scalp. Schedule your consultation with us to ask about PRP hair restoration! At Plateroti Dermatology, we combine the benefits of PRP and our micro-needling system to help our patients achieve their aesthetic goals using the latest technologies and methods. During a typical micro-needling session, the device containing several tiny needles is slowly moved over areas of aging and damaged skin, promoting the skin’s natural healing response. This also opens up the skin and increases its ability to absorb beneficial products such as PRP or hyaluronic acid. Patients may see visible results after the first session, but it can take multiple treatments to achieve optimal results. During your consultation, our medical team will assess your individual condition and create a customized treatment plan for you. Contact Plateroti Dermatology today to schedule a consultation and discover the benefits of PRP for skin improvement on the inside and out.